In episode #44 of “Tech Policy Weekly,” Berin Szoka and Adam Thierer engage in a debate with Internet security expert Chris Soghoian, who is a student fellow at the Berkman Center for Internet & Society at Harvard University. 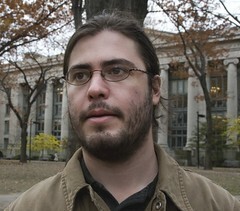 He is also a Ph.D. candidate at Indiana University’s School of Informatics. On the show, Chris talks about two of his recent crusades to get certain online providers to change their default settings to improve user security or privacy: (1) His effort this week to get major email providers—and Google in particular—to change their default security settings on their email offerings; and (2) his earlier crusade to create permanent opt-out cookies to stop behavioral advertising by advertising networks. Previous post: When You’re Getting Software or Other Stuff on the ‘Net for Free, what are the Costs?